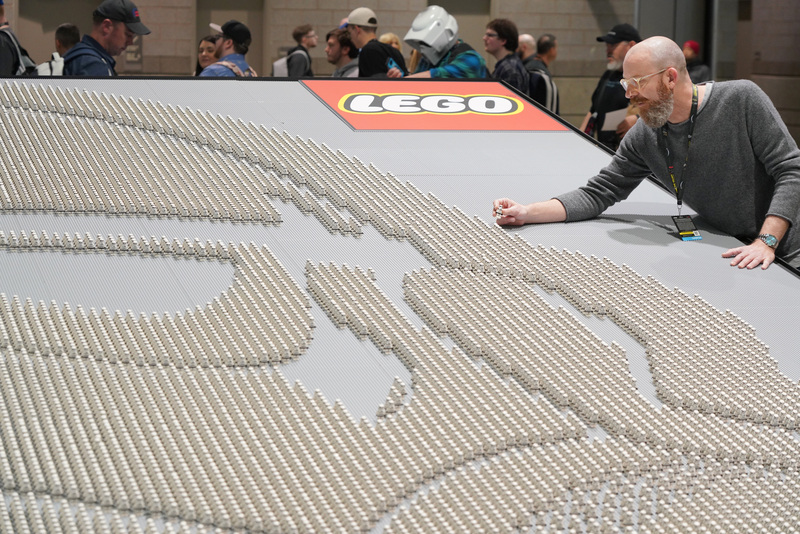 LEGO set a Guinness World Record at this weekend’s Star Wars Celebration. Their record-setting achievement is a 20-foo- by-20-foot display in the shape of a Stormtrooper helmet made up of LEGO® Star Wars™ minifigures! 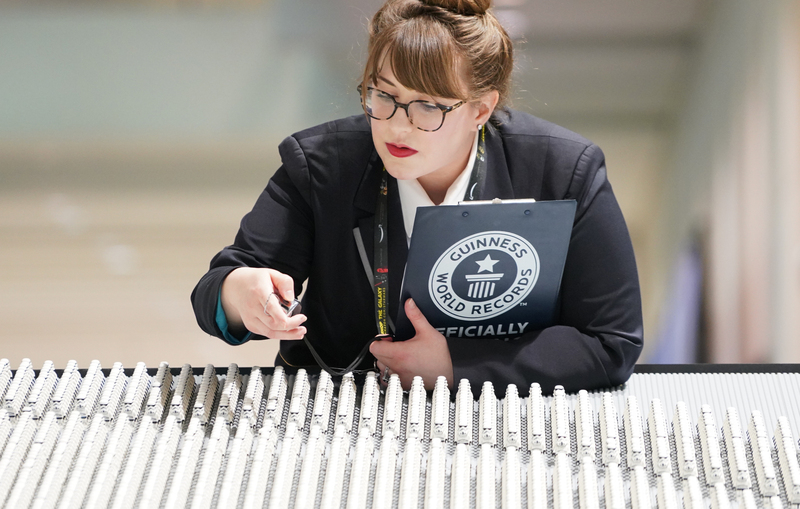 This massive display took 12 people 38 hours to complete. 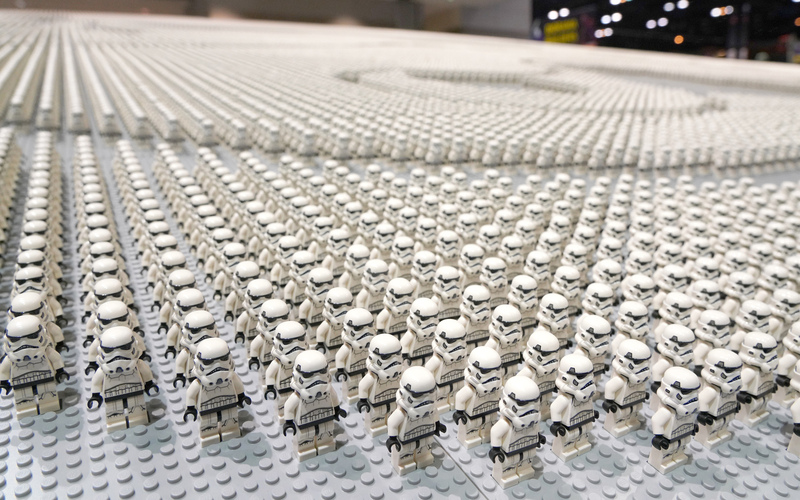 What’s your guess as to the number of LEGO® Star Wars™ minifigures in this display? 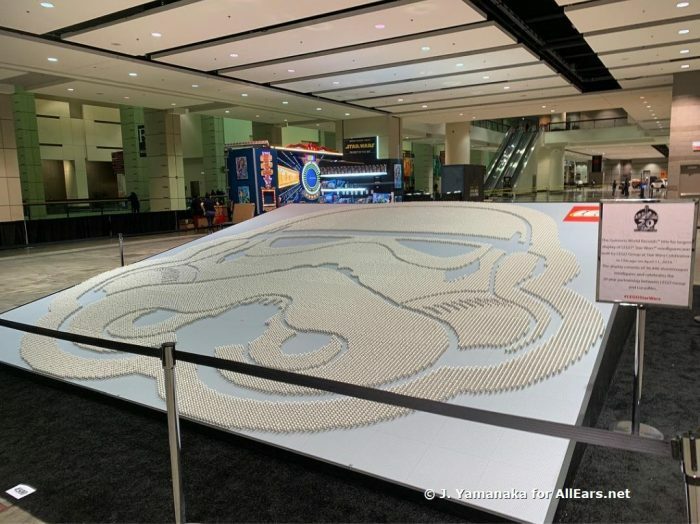 There are 36,440 LEGO® Star Wars™ minifigures in this display breaking the previous record of a display with 35,210 LEGO® Star Wars™ minifigures in a display! The LEGO stormtrooper minifigures used in the model are the same stormtrooper minifigures that are in the new 20th anniversary commemorative building set, the LEGO Star Wars Imperial Dropship. If you are at Star Wars Celebration be sure to stop by the LEGO booth to see their displays and showcase of 20 years of Star Wars and LEGO sets! Be sure to tag us @allearsnet in any of your photos! Did you miss the title reveal and trailer for Star Wars Episode IX (Star Wars: The Rise of Skywalker)? We’ve got all the news and the trailer here! Did you miss the preview of Star Wars: The Rise of Skywalker merchandise packaging? See it here!